Branca de Neve products were awarded the 2016 Product of the Year seal. Featured are the new range of Toppings and Desserts Mixes for Mousses, with truly unique flavors. This year, among the recognised products, still on its traditional range of self-raising flours: Fina, Super-Fina e Flor. Branca de Neve is again a Superbrand. For the 5th consecutive year, the brand that is part of the imaginary of the Portuguese, was recognized as a mark of excellence in Portugal. 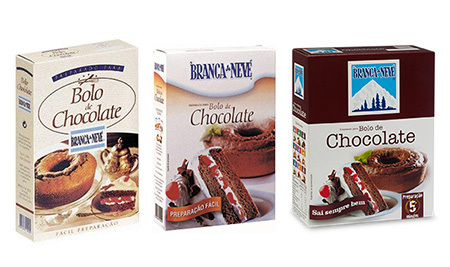 Branca de Neve was awarded, for the 4th consecutive year, as a Superbrand brand. This distinction this year is of particular significance for Branca de Neve, as the brand celebrates 60 years of its launch. Branca de Neve is part of the imaginary of the Portuguese since early childhood, and has accompanied generations, always had an active place in the kitchens of Portugal, from parents to children, from grandparents to grandchildren. 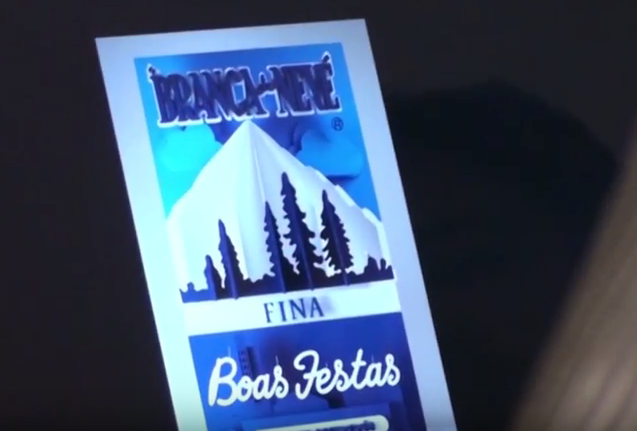 In 2012 and 2013 Christmas, the brand bet on the emotional bond with consumers and explored the familiarity that the Portuguese have with the well-known packing flour through a street campaign advertising, present throughout the country. 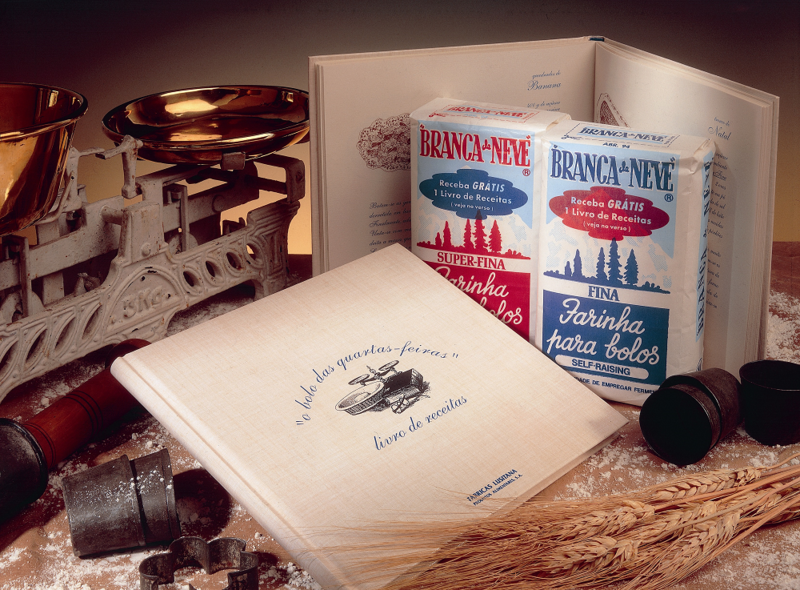 The message was simple: through the image of its flour package Branca de Neve wished happy holidays to all Portuguese. In 2013 we took a bold move and build the package in 3D. In 2010, to fulfil the need of the market where the home-made bread had become increasingly valued, the Bread Flour Mixes were released. 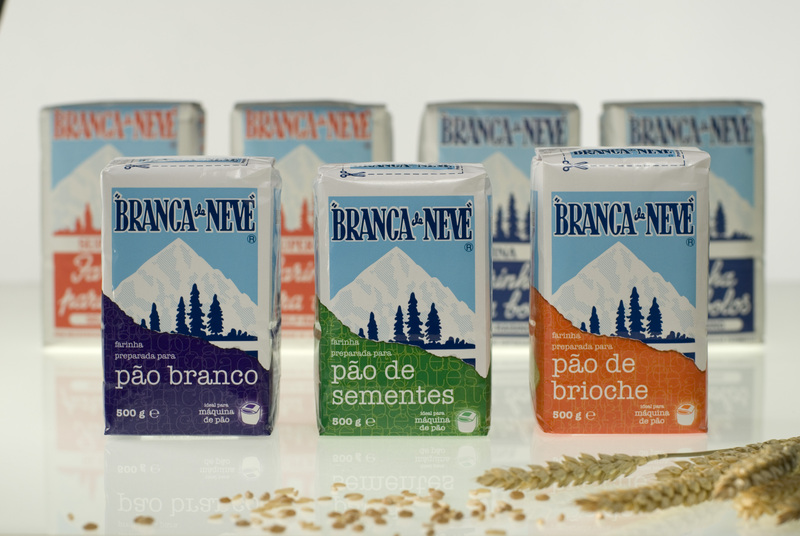 Branca de Neve developed and currently markets six varieties of bread flour mixes for those who want to make bread at home, either manually or with the aid of a bread maker. 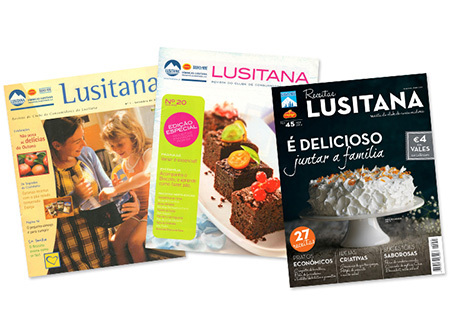 Published since 2000, Lusitana Magazine celebrating already 16 years of existence. Its creation intended to develop a space of communication of products and promotions, where recipes, suggestions and advice are presented to the brands consumers. In the 90's were launched the first cakes and desserts mixes that had immediately a huge success. 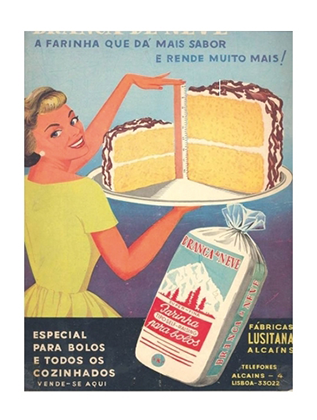 In addition to its unquestionable quality, the development of each product took into account the preferred cakes by the Portuguese people, flavours recorded from childhood in their memory. From a recipe contest, which allowed Branca de Neve to know its consumers and create the first database, came the idea to compile the best selected recipes and edit a book: “O Bolo das Quartas-feiras” (Wednesday Cake). The choice of name was due to the National Television weekly movie night that gathered families around the television and invited to a sweet treat in the comercial break. The book was one of the greatest runs of cookbooks in Portugal, about 50 000 copies. 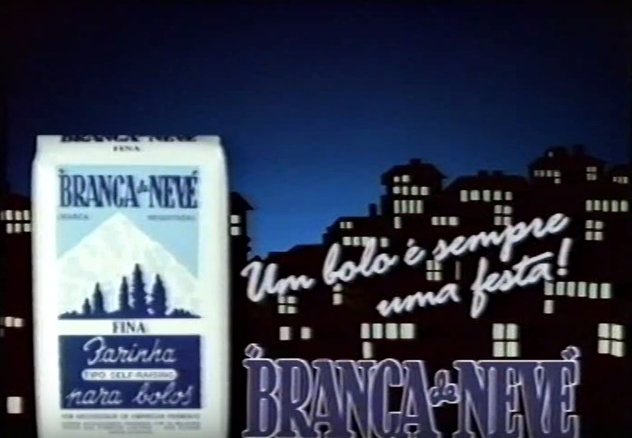 In 1985 it was released in the Portuguese television an advertisement spot that reinforced the claim in use by the brand at the time: "It's always a party!". Since special moments are celebrated with cake. In this way, Branca de Neve is present in the most important landmarks in the lives of the Portuguese people. Apart from Laura Alves, Branca de Neve was also promoted by other entertainment figures when they were at the beginning of their careers: Herman José, Helena Isabel, Marco Paulo, Cândida Branca Flor, Maria Manuela and Carlos Paião. It is no exaggeration to say that the bet was completely won, because in addition to the talent already evident at the time, all became well known artists and cherished by the public. 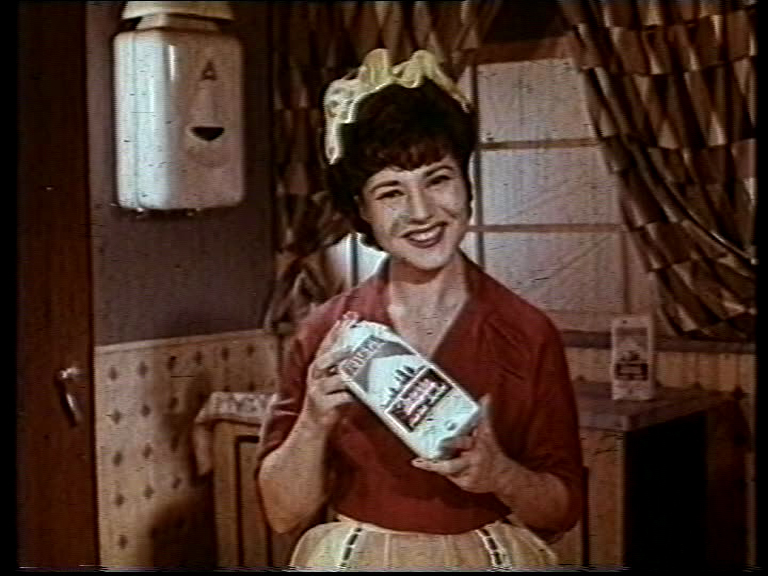 It was Laura Alves (Portuguese actress) who was the first spokesperson for Branca de Neve flour, one of the first advertising films shown in Portuguese movie theaters. At the time, the blockbuster theatre play "Criada para todo o Serviço" was in exhibition at the Monumental Theatre starring the popular actress, and it was sponsored by Branca de Neve. This was one of the first known advertisements of Branca de Neve. 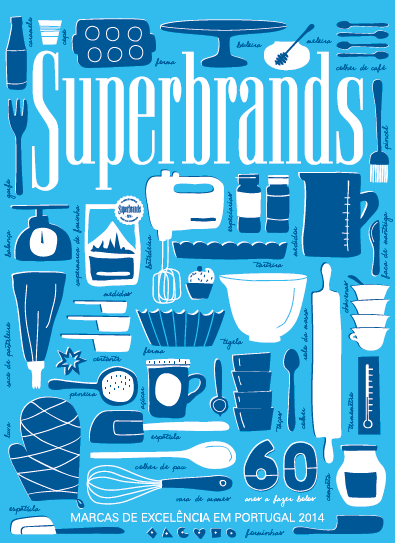 This poster was produced at the release of Branca de Neve Super-Fina flour in 1955, with its traditional red and blue package, even today, it remains true to the original. 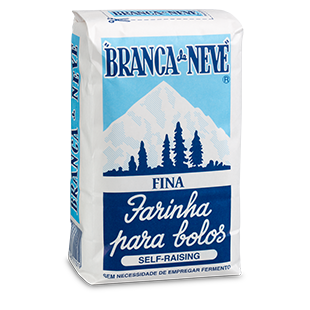 Launch of Branca de Neve brand and flour "Fina"
Upon its release, the new Branca de Neve flour had an innovative feature: it was a "Self-Raising" flour or self-leavening it already contained embedded baking powder. It was the only one in the market that was especially suitable for the baking cakes. Its success was immediate with the result that from the village of Alcains were distributed daily thousands of tons of flour.